Looking for a super unique and humorous photo canvas gift? 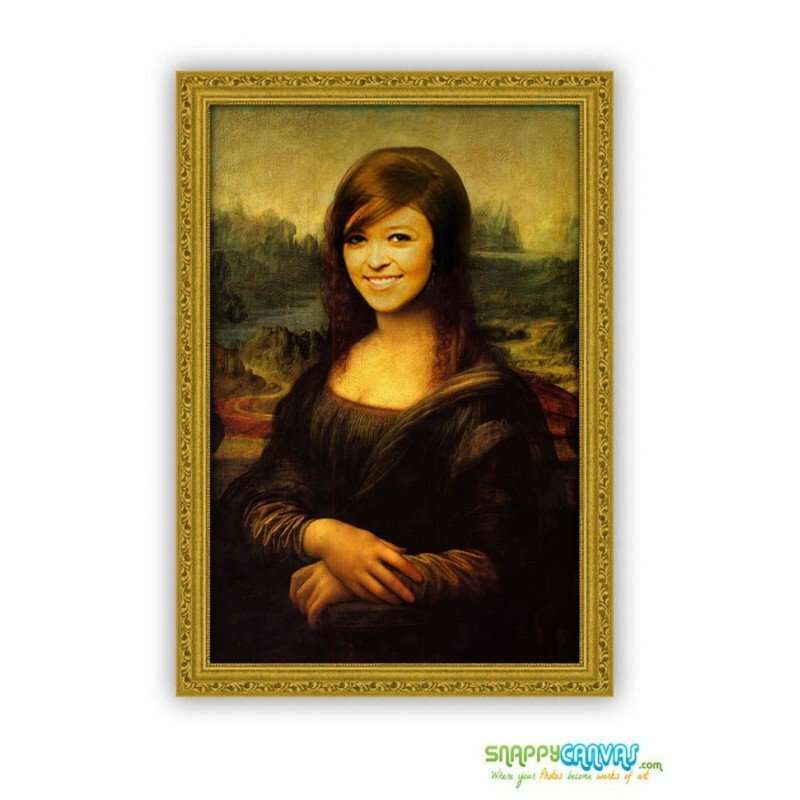 Our artists seamlessly blend your image into Davinci's most iconic painting! 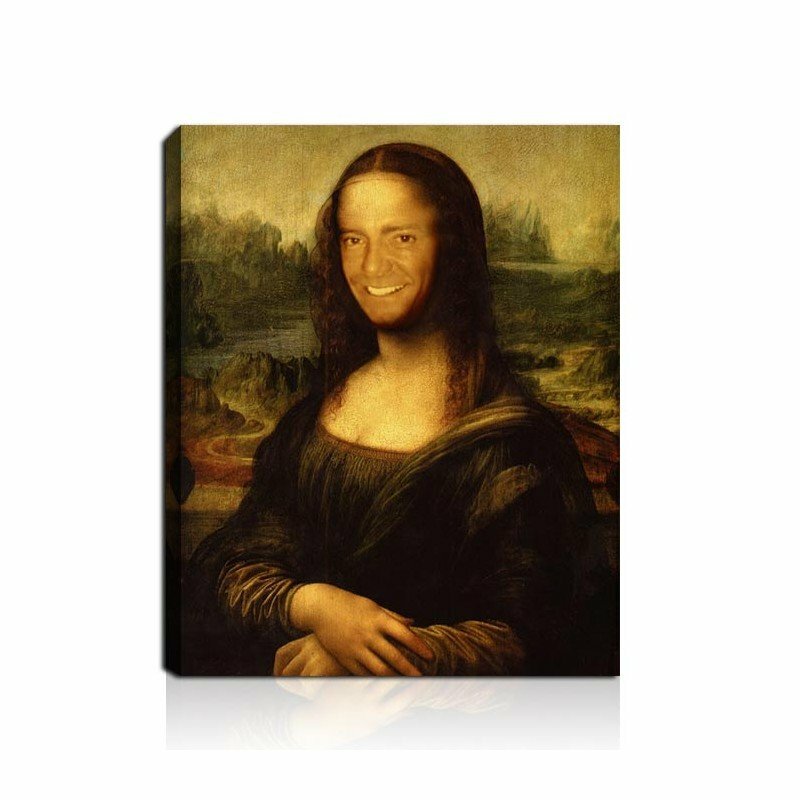 Rewrite history today with a personalized Mona Lisa Me Canvas..
By buying this product you can collect up to 58 loyalty points. Your cart will total 58 points that can be converted into a voucher of $12. 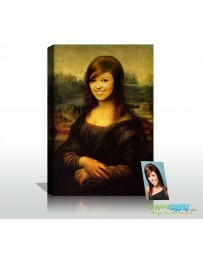 Make heads turn with a customized Mona lisa me Canvas! Impress them with your wit and humor. 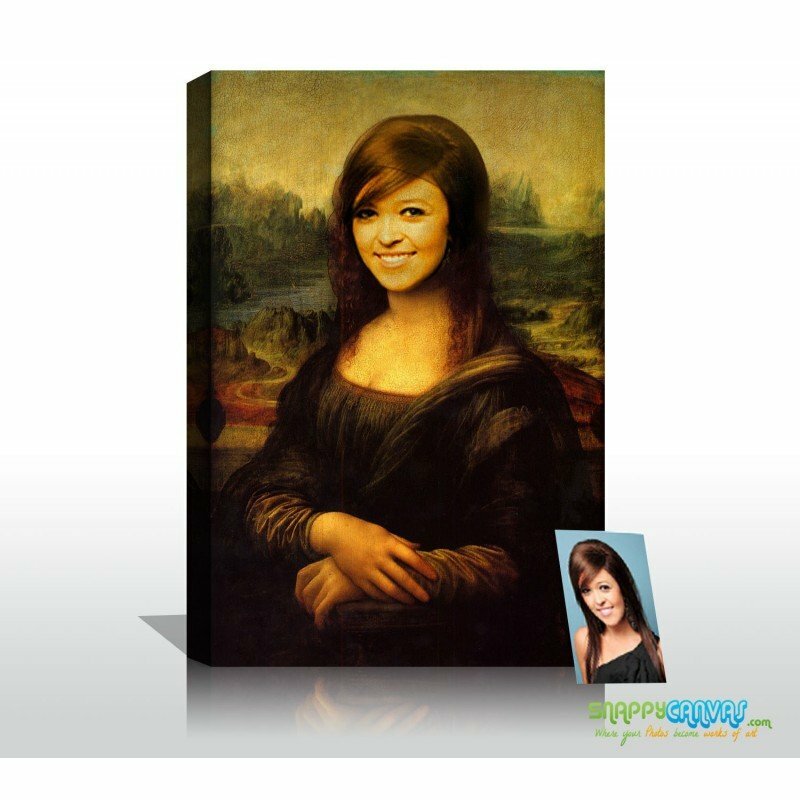 Simply upload your image and let our skilled fun-loving artists make you, your friend, or lover into a Davinci masterpiece. Select a size and have it beautifully finished as a gallery wrapped canvas or mounted into an elegant gold, silver, or black frame. Be sure to use an image where the subjects face is nice and clear. Select the e-proof option with your order and we'll email you a proof so you can preview it before we ship it out safely by Fedex. Our canvases are made using high grade poly cotton canvas and have ultraviolet resistance so your canvas will last without fading even in direct sunlight. We offer a very fast turnaround and hassle free 100% satisfaction guarantee. The customer service was fantastic! super easy to get answers and the canvas was exactly what I envisioned!